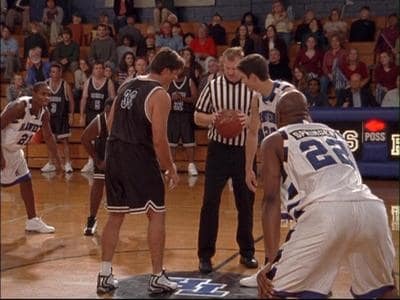 Nathan and Dan Scott face off during the Tree Hill Ravens Father/Son game. Things get heated. One Tree Hill Season 1 Episode 5: "All That You Can't Leave Behind (Where I End and You Begin)"
You're not even close. You're not even in the neighborhood close! Deb: You know, there is a chance that Lucas and Nathan could get along if their father encouraged it. Dan: True. But there's also a chance that hell could freeze over.